OUR MISSION: To help you create a pipeline of high-quality real estate leads for your business needs. We achieve this commitment through a multitude of high-quality services and state-of-the-art marketing that come together seamlessly to effectively increase your sales, save you money, and minimize your operating risks. OUR VISION: To be the most reliable, efficient and trustworthy source of leads for real estate buyers and sellers. 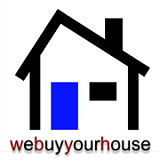 1 Day FREE Trial at WeBuyYourHouse.Direct!